Last month saw another round of graduates from our Lean Manager for Services Certification held on the campus of The Ohio State University. Instructor and Executive Partner of Productivity Inc., Catherine Converset, spent a few minutes with us recently to talk about implementing lean in service and administrative functions. We all know that improvement is the result of a thousand small things done the right way, and making processes visible is definitely one of, if not the, most important of these. The lean journey begins with the development of a system for organizing the workplace to create a common language that allows all employees to identify process abnormalities and make improvements. In administrative processes, work flows are hidden making it difficult for associates to see progress and define what needs to be improved. 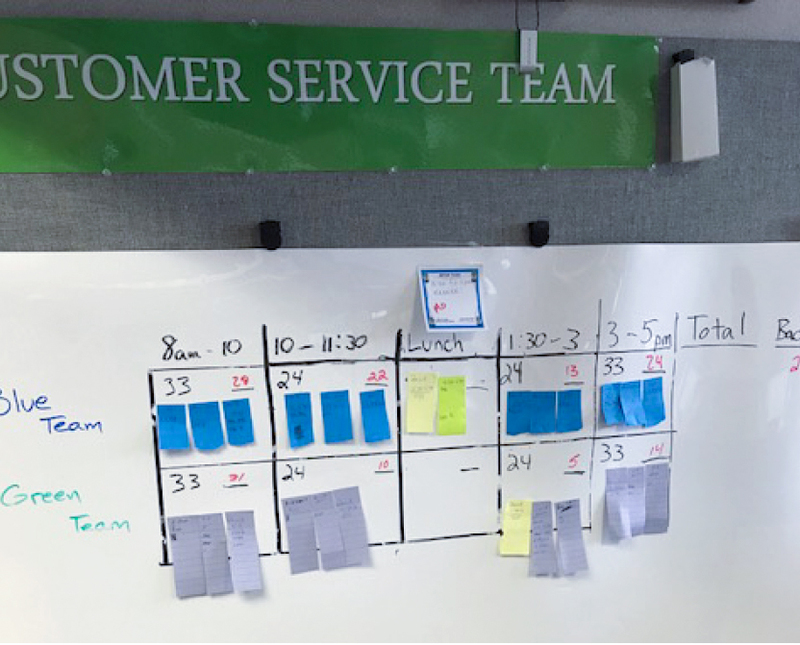 Creating visual standards for process flows allows natural work teams to monitor progress hourly, daily, weekly, monthly—so they can organize their time to respond to fluctuation in customer demand and staff accordingly. They can also gauge progress against targets and immediately see problems which can be addressed before negatively impacting customers. This is especially important for Service organizations where connections to the customer are closer than they often are in a manufacturing environment. 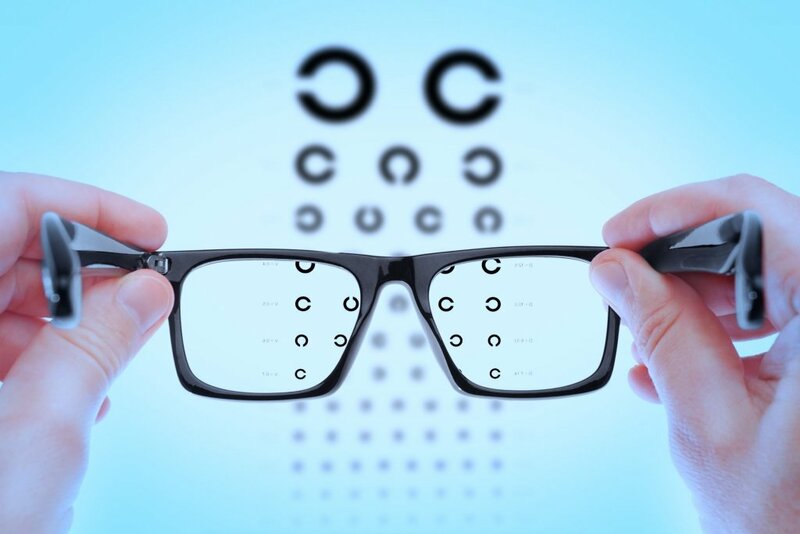 In addition to overall process improvement, visual standards make everyone’s work easier while promoting knowledge sharing and skill development. This is why I believe “making it visual” is so vitally important and the only way to ensure sustainable improvement. 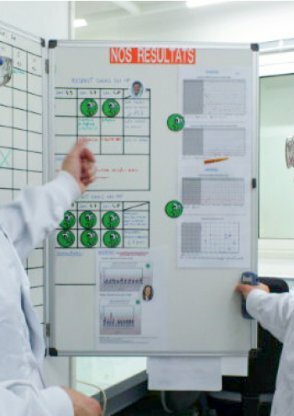 By marrying improvement and daily work, visual flow management standardization sets a foundation and ensures that all team members, individually and collectively, share the same vision and completely understand their role in the improvement process. Here is a good example of the power of Visual Management. It is taken from a recent graduate of our Lean Manager Certification Program for Services (LMAC-S) a three-week program co-developed by Productivity Inc. and The Ohio State University’s Fisher College of Business. 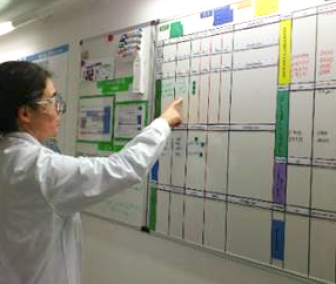 The program teaches the Visual Management technique and application of the technique is part each attendee’s project work. A Customer Service Manager with an analytical equipment manufacturer in the Midwest has embarked on a project to improve customer service response time. He and his team receive daily communications from their customers via phone and email. Each team member is responsible for answering both phone and email communications. The challenge for his team is to improve the backlog of customer requests, reduce the time required to complete each one and generally improve customer service communications. By making this process visible the team is able to easily track response time for both phone and email responses to the customers. The team member(s) can see at-a-glance how they are responding to customer needs throughout the day. The result of this is the reduction of incoming calls from customers calling to get their answers! Even in this infant stage you can already see that by making their process visual and setting standards, they are delivering positive results which will improve customer service. As the process matures and the team members take more ownership, they will be able to refine and improve even more. Love and justice may be blind…but improvement can only happen when you can see and understand what’s going on… so be sure to make all your processes visible! I’d love to hear how your processes improve with visual management! Here are some examples of more mature visual management boards. This article first appeared in our Service Insider Newsletter, Volume 1, #5, December ‘89/January ’90. What we first realized when we revisited it is that this article was written pre-internet, pre-Yelp, pre-social media, pre-online review, pre almost everything you can think of that is modern day customer service feedback. It is almost quaint in the way it gives suggestions for improving customer service. Today, it is such a cut-throat existence that companies HAVE to improve; they have no alternative. The second realization is that the contents are still relative because what hasn’t changed in these 27 years is that culture is imperative to improving a business. And good leadership. We saw that then and we see it still today. Briefing: Service measurement systems must do more than count how many phone calls people answer, or how many customers they wait on. Measurements must encourage continuous service improvement, because what made you profitable today, might not make you profitable tomorrow. Inside tip: Walk customers through your organization, then ask them what opportunities they saw for improvement. John Zimbrick, a car dealer in Madison, WI hires cabs to drive customer’s home from his service department. Drivers are instructed to talk to customers about dealership service. Once a quarter, Zimbrick holds a dinner to learn what his customers really think. Specialty retailer Nordstrom uses mystery shoppers to meticulously evaluate the service provided by salespeople. Automaker Honda surveys car buyers, then gives feedback monthly to individual sales reps.
Pacific Gas & Electric’s Napa, CA division evaluates service reps daily and gives them the results every week. There are as many creative and effective systems for measuring service as there are creative and effective service companies. But no matter how different the measurement systems seem, the best have one thing in common— they encourage continuous service improvement. 1. Decentralize the responsibility for service measurement. Put responsibility closest to where service is delivered— the front line. “Continuous service improvement is the sum total of thousands of small improvements that are made as every work group in the organization improves,” says Tate. The only way to achieve these improvements is to give the work groups responsibility for documenting the improvements. 2. Make managers accountable for radical service improvement. “When we ask clients to tell us who is responsible for improving service to a particular customer, we’re usually given the names of several people,” Heil says. Such fragmented accountability makes it possible for managers to receive high performance evaluations even though service is poor. Service won’t improve unless radical improvement is mandated and managers risk serious consequences for neglecting service improvement. Beware: Don’t accept tradeoffs. When some managers are asked to make improvements, they bargain for less accountability in other areas. (“If you want faster service, you’ll have to tolerate more mistakes.”) Organizations must simultaneously improve in every aspect of the business—or risk being left behind. 3. Actively involve customers in developing the measurement process. Involving customers builds loyalty. It also insures that what is important to the customer—not just the company—is measured. The biggest challenge of any service quality measurement system is to change as quickly as the customer’s requirements change. You can’t do it without the routine participation of customers. Remember: The most important, most valid, most objective measure of service is the subjective opinion of the customer. Call your company, make an appointment with your sales force, ask questions of your technical advisory staff, write a complaint letter, place an order. What kind of service do you get? Walk through the organization with customers. What opportunities for improvement do they see? “We have been amazed at how many managers are unaware of service problems that are obvious to even the most infrequent customer,” Tate says. Trouble: Mystery shoppers can be a positive or negative experience for service professionals. They often are perceived as management “spies” trying to catch people making mistakes. Solution: Continuous improvement requires catching people doing things a little better, faster and different. 5. Provide weekly feedback from customers to every employee. Most service professionals receive no customer feedback. They do, however, receive feedback and are held accountable for getting to work on time, answering a certain number of phone calls per hour, returning from breaks on time, balancing the cash register. Result: These tasks get priority. “If we don’t measure service and give feedback routinely,” Tate warns, “service will never receive top priority from those who interact with customers. Consider: Each service professional brings a unique set of talents to the job. Give each a personal improvement agenda outlining three ways they specifically can improve service from the customer’s point of view. “Last year, we evaluated service quality at a medical clinic that had just finished surveying its customers, says Tate. “Customers rated them “very good” in every category, yet they were losing money and had a poor service reputation. We found that they had dirty facilities, two-hour waiting times, and that they rarely answered their phone before the seventeenth ring. Lesson: Customers sometimes give high service marks because of factors other than service. In this case, patients gave high marks because they got well. Ratings mean little without comparisons. Insist on comparisons. Shop competitors. Compare results with another division or other stores in the company. Look for what they’re doing better. 7. Evaluate your daily performance against your performance in emergencies. “We all have great stories about how we performed miracles during a crisis,” Heil notes. “We also know that when the crisis is over, performance returns to normal.” What to do: Don’t accept this drop in performance. The crisis demonstrated what is possible. Successful companies react to everyday situations as if a crisis exists. Compare your daily performance with your peak performance. Find out what’s stopping you from achieving your peak every day. The time managers spend dealing with service measures must be balanced against other key measures. Don’t stop focusing on cost reduction, quality, sales, or budgeting measures. Strike a balance that is in hue with the stated strategic objectives of the organization. The problem: in many companies, more than 80% percent of all measures are focused on the efficiency/cost side of the business. 9. Institutionalize service measures that encourage continuous improvement. The number of service improvement projects undertaken and the number successfully completed. The percentage of employees in a group who have offered constructive suggestions that have been implemented in the last 60 days. The number of disgruntled customers identified before they complained. The rate of service improvement realized by each service team or individual this month. People will see this as a flip-flop unless there is a culture of “celebrated discontent” that makes people feel good about their accomplishments while motivating them to move toward the next level of performance. Measures and reward systems must simultaneously promote a feeling of celebration about service improvement and a feeling that more improvement is necessary and possible. Danger: An overemphasis on celebration can lead to complacency and mediocre performance. Too much criticism can be discouraging and leave people feeling frustrated, confused and undervalued.